Hit Those Subscribe and Like Buttons!!!! 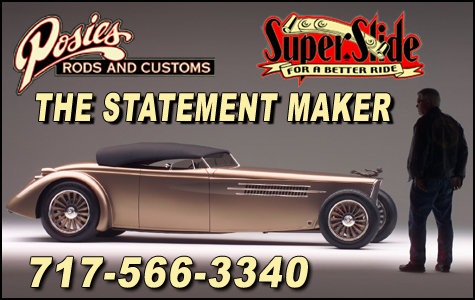 Welcome to POSIES Rods and Customs, the Home of Super Slide Springs. 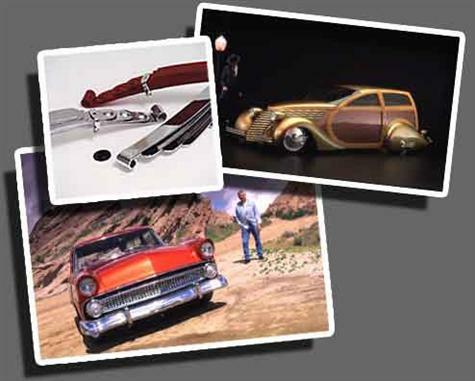 Our years of experience has allowed us to become a leader in supplying Hot Rod and Street Rod Parts, Suspension and Chassis Components for Ford, Chevrolet, and many other makes and model of cars and trucks. We’ve been building quality cars since 1964 and have become a leading name in the industry. Our Super Slide Springs have become an industry standard when building a hot looking, smooth riding rod, custom or truck We ship worldwide with the greatest of ease. 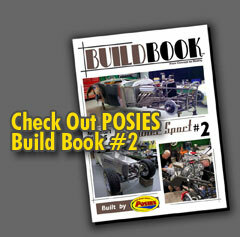 Take a look around our web site and see why POSIES should be the people to call when you are building your ride! 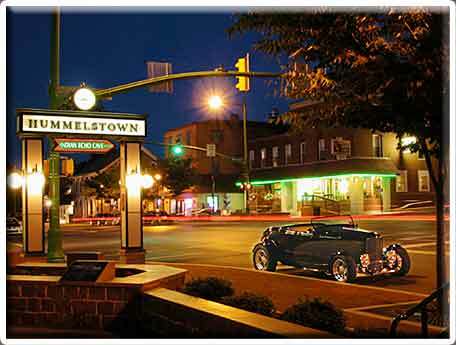 Our origins can be traced back to a young pin striping itinerant who had a love for automobiles and all things mechanical. Skills were honed from a hands-on approach. POSIES, a nickname which came about from Ken’s family’s florist business, has been building street rods and parts since 1964 when the shingle was hung out at the first shop. It wasn’t long before it became very evident that the original springs on the early hot rods were tired, weak and just plain unsafe. POSIES began building springs that would sit low and yet demonstrate good ride quality and the rest is “Super Slide” history. Since moving to our present location, the spring business has expanded to cover a wide variety of applications to fill all your hot rod needs, including related suspension parts and hardware. Our expertise doesn’t stop there though, we enjoy handling all aspects of car building from top chopping and louver punching to crafting complete turn key automobiles. Through our history we’ve been fortunate to have many customer vehicles as well as our own POSIES statements featured in countless national and international publications. From the Smooth 36, the “Swept Back” 37 coupe, the Orange Krisp to the Extremeliner, We at Team POSIES are proud of our past but even more excited about the next generation of POSIES statements that are just over the horizon. As we head into the 21st century, we are focused on providing you with the quality and innovation you’ve come to expect.